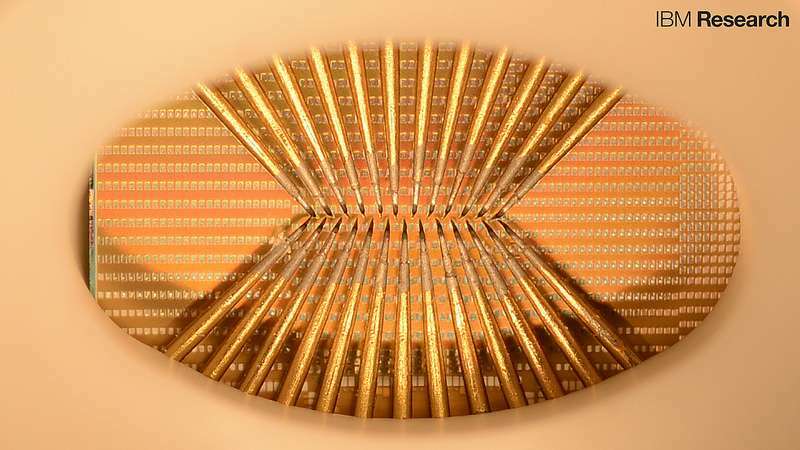 "We have been researching phase-change materials for memory applications for over a decade, and our progress in the past 24 months has been remarkable," said IBM Fellow Evangelos Eleftheriou. "In this period, we have discovered and published new memory techniques, including projected memory, stored 3 bits per cell in phase-change memory for the first time, and now are demonstrating the powerful capabilities of phase-change-based artificial neurons, which can perform various computational primitives such as data-correlation detection and unsupervised learning at high speeds using very little energy." IBM scientists have organized hundreds of artificial neurons into populations and used them to represent fast and complex signals. Moreover, the artificial neurons have been shown to sustain billions of switching cycles, which would correspond to multiple years of operation at an update frequency of 100 Hz. The energy required for each neuron update was less than five picojoule and the average power less than 120 microwatts—for comparison, 60 million microwatts power a 60 watt lightbulb. 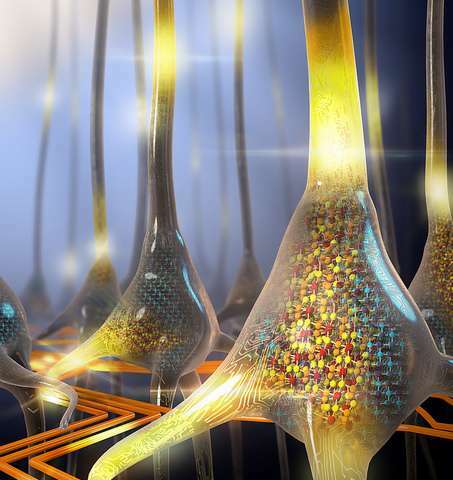 "Populations of stochastic phase-change neurons, combined with other nanoscale computational elements such as artificial synapses, could be a key enabler for the creation of a new generation of extremely dense neuromorphic computing systems," said Tomas Tuma, a co-author of the paper.